When I was a child there was a print in my grandparents’ dining room of Echo and Narcissus by John William Waterhouse (1847–1917). In Ovid’s version of the myth the nymph Echo fell in love with the handsome Narcissus, but he rejected her advances, as he had those of all others before her. It broke her heart; she withdrew from life and wasted away to a whisper. But Nemesis, goddess of revenge, heard her prayers and caused Narcissus to fall in love with his own reflection in a pond. He continued to stare into his mirror till he died of hunger! The narcissus flower or daffodil is his monument. We use his name today for people who have such a high opinion of themselves (their looks, abilities, prestige, achievements…) that it overwhelms their interest in anyone else. It’s a moral vice and even a personality disorder. A recent study by American psychologists Jean Twenge and Keith Campbell found that narcissism is on the rise (The Narcissism Epidemic: Living in The Age of Entitlement). They report that among American university students scores on a “Narcissistic Personality Inventory” were much higher in the 2000s than they were in the 1980s and 90s. In another study, preteens were asked what they most wanted for their future. Alarmingly, the number one response was “fame”, up 14 places in a 10-year period (Uhls, Zgourou, & Greenfield , 21st century media, fame, and other future aspirations: A national survey of 9-15 year olds). This self-obsession begins early. The child, perhaps an only child, is given a strange name (or spelling) to remind us how unique they are. Indulged in every way this ‘little emperor’ is told again and again that they are special. From early adulthood come further encouragements to inordinate self-esteem and even self-obsession: the celebrity culture, easy credit, fashion, plastic surgery, social media. Endless tweeting is required because every movement is presumed newsworthy. Twenge and Campbell identify many indicators of narcissism in contemporary culture and many explanations of why it has caught on so powerfully. Narcissists suffer many ill-effects of their vice or disorder, not least when they discover they don’t measure up to their own self-image. It also damages their relationships: think fewer, later and shorter marriages; the commitment-free, ‘hook up’ culture; children, if at all, born out of wedlock (more than a third of Aussie children nowadays, and rising). The narcissism epidemic has its victims. I think these researchers are onto something. They rightly suggest that instead of telling our children they are special, we should be telling them they are loved. Overinflating their egos does them a disservice, making it harder for them to deal with reality (including failure) and harder for them to form healthy relationships. To love our children is to want the best for them and that means wanting them to know the truth about themselves, to aim neither too high nor too low, to have appropriate pride but also genuine humility. Relationships where concern for the other is the norm and where some sacrifice of self is expected are the ones that last. Put simply: our kids need to know that the universe does not revolve around them and that deep and abiding satisfaction does not come self-love or from being admired. Ever since Adam and Eve’s fall – the sin of pride – our sins have not been as original. Indeed the desire to elevate ourselves, to make ourselves gods, has been a constant in the human heart. St Thomas Aquinas taught that such pride involves “immoderate desire for one’s own excellence”. The vain person ignores the truth about themselves and imagines themselves better than they are, or others worse. The narcissist loses all sense of proportion, like Satan trying to get Christ to adore him (Mt 4:9). Turning in on oneself and away from one’s neighbour, the narcissist refuses in the end to be subject to anyone, in any respect, even to God and His divine plan. 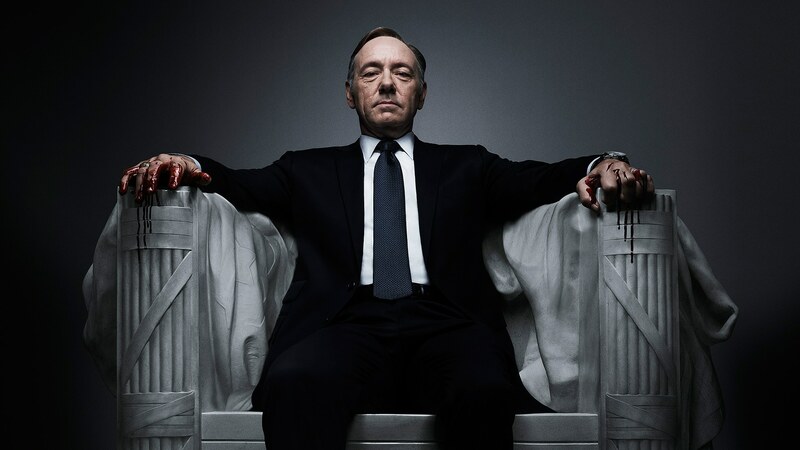 In a recent American re-make of the British political classic, the protagonist Francis Underwood (played by Kevin Spacey) is plotting for power. He walks into a beautiful church, supposedly to pray. Yet when he kneels before the altar, we see his disdain for God. He says, “I pray to myself, for myself”. It is all about him, his self-importance, his self-advancement, no matter the cost. Jesus, of course, told a similar story about a rich man who believed only in himself and despised others (Lk 18:9-14). Ultimately, narcissism hails not just from a wrong assessment of our own self-importance but from a confused relationship with God. Little wonder, then, that it is so prevalent today. To know God is to know our own smallness, dependence, finitude, yet to know that by His power we can indeed do great things. The antidote to narcissism is true humility, recognising what and who we are, in relation to God and our fellows. Family life is a school for humility, from the first moment parents see their newborn child and realise this came from them but not, ultimately, from them. If we want to raise our children well, to esteem and extend themselves appropriately but not fall in love with themselves, we can do no better than teach them to love God, to subject themselves to His will, and so to live in service of others. This column first appeared in Parramatta’s Catholic Outlook.